You've waited your entire life for this day. So it's only fitting that you experience it in a setting you'll remember for a lifetime. Hawaii is the quintessential –dream wedding” destination. The ocean, the beach, the flowers and the sky it all makes for a romantic storybook backdrop. Exchange vows, barefoot on the sand. White orchids gracing your bridesmaids' bouquets. Surround yourself in the vibrant colors of the skies and the waters. Exchange vows among the aromatic tropical flowers. Just imagine exchanging vows next to a cascading waterfall, or beneath the coconut palms in a garden grotto. The orange glow of magic hour streaking the horizon as family and friends gather to celebrate your new beginning. Now imagine a place dedicated to making your wedding day the incredible event you've always envisioned. Choose from ceremony and reception sites ranging from quiet beach fronts to lavish resort ballrooms. 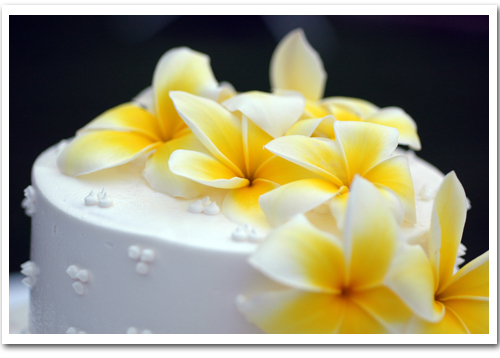 Leave the details to Hawaii's wedding planners who can help you choose everything from flowers to photographers. As for after the ceremony, what more can we say about one of the most popular honeymoon destinations in the world? You'll just have to experience it together. You'll need to have a Marriage License before you get married! You and your fiancþ must go in person to the State Department of Health and submit the application. You can download this application from their website at Once issued, your license is good for 30 days.